egion are trapped in a vicious cycle of corruption. On the other hand, the participation of local people in development activities is not good enough. Even public service deliveries in rural areas have the lack of transparency. Media people and the CSOs representatives believe that the government alone cannot address all these issues. Integrated efforts are needed to ensure the maximum benefits to local people. So, programmes should be taken on priority basis considering public needs where the participation of targeted people must be granted. They have mentioned it in a News Network media development programme on democracy and human rights issues, supported by the United Nations Democracy Fund (UNDEF). capacity to highlight the issues publicly with more confidence. Additional Deputy Commissioner of Barisal district Md Abul Kalam Azad attended the closing session of journalists training and distributed certificates among the participants. Mr Kalam highly appreciated the initiative and said media is the fourth estate in a democratic society and there was a necessity to further strengthen its role. He urged the journalists to practise fair journalism and report accurately without distorting information. public welfare. They voiced concern that many of the local media houses may be shut down for lack of advertisement revenue. Editors also proposed raising funds for local and community newspapers to enable them to effectively address social issues. Speaking on the occasion, the newly-trained journalists and editors raised the issue of their professional safety. They said they often receive threats on their lives. Dozens of journalists fell victims to attacks and torture by miscreants, vested interest groups and law enforcement agencies.The attackers resort to various types of methods to try to silence journalists. For example, a few months ago miscreants tried to kill a journalist by injecting poison into him. He survived as local residents took him to a hospital quickly. 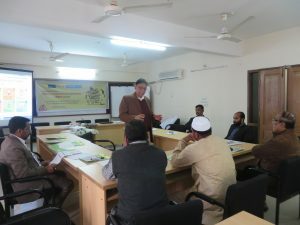 Representative of civil society organizations (CSOs) and non-government organisations (NGOs) said local government bodies should not be used to serve political purpose. Instead, these bodies should be motivated to work for society independently, which will provide more benefits to grassroots people. 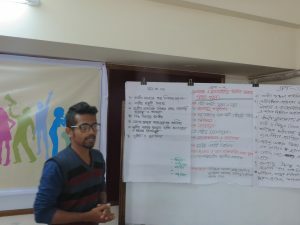 News Network has trained them to improve their ability to highlight rights-based issues through incident reporting, success stories in relevant fields, conducting case studies and sharing those to mainstream media and in social media for wider coverage, advocacy and campaign.